Now almost two years into her role as boss of Olympic Holidays, Clare Tobin tells Pippa Jacks about remodelling the long-established operator, modernising technology and cultivating its commitment to agents. With a degree in textile design under her belt, it is perhaps no wonder Clare Tobin’s made a name in travel for being able to look at a business, understand its fabric and reshape it to be fit for the future. The Olympic Holidays chief executive joined the industry as a student working for Sunworld then as a First Choice management trainee – after an unsatisfying stint in fashion merchandising at River Island. She then went on to spend 17 years within the Tui family, as a buyer overseas, then heading up youth brand Twentys. Tobin earned kudos for her successful ancillaries programme at First Choice and was made a managing director in 2002 of Meon Villas. Next, she was made managing director of Hayes & Jarvis, where she flipped its charter model to a scheduled one, and was gradually given responsibility for all Tui’s specialist business brands. Latterly, she ran Tui’s education business for Europe, the Middle East and Africa. “My time at First Choice gave me the most amazing grounding – [be] prepared for anything,” Tobin tells me. After a couple of years out of travel at the helm of a lettings business, she joined Olympic Holidays in February 2017 – and it is at the company’s HQ in Woodside Park, north London, where we meet. Tobin was brought in two years ago, she tells me, when George Michalias, owner of the company for more than 26 years and now its chairman, was looking to take a step back. “With so much expertise and heritage within the business, and a real family feel, I could see the potential straight away,” Tobin recalls. The challenge, however, was Olympic’s high-volume, charter-based model which – with increased competition from OTAs, low-cost carriers and new entrants such as Jet2holidays – was beginning to fray. Last year, therefore, saw a major shift to low-cost, flexible and scheduled flying, with only one charter out of Manchester. And, as of January, scheduled flights are available on the Olympic website, powered by Amadeus. By removing the focus on filling seats, Olympic has been able to overhaul its land proposition. It trimmed its existing product portfolio by 10% for 2019 – particularly properties that received poorer reviews. Recognising an opportunity to grow its top-end family market, Olympic has added more family-friendly and interconnecting product, while the number of all-inclusive properties has doubled. 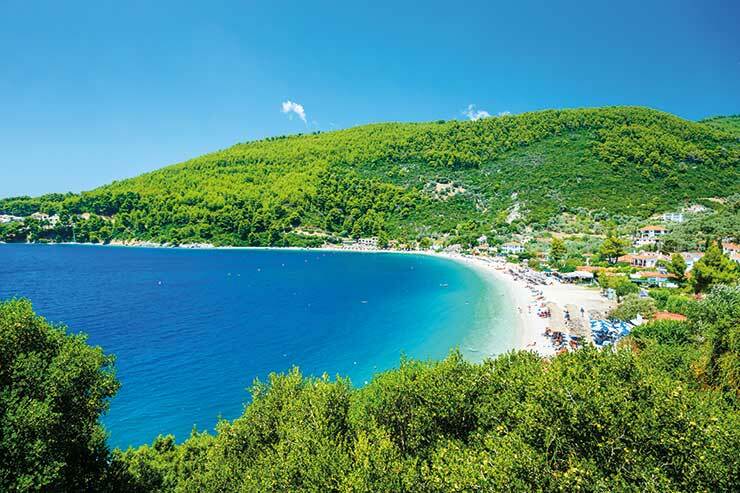 Island-hopping has been identified as a growth area and, for 2019, there are 10 new itineraries in Greece, with inter-island flights now available alongside ferry travel. The five-star Gold Collection, meanwhile, has also been expanded, indicating a general nudge upscale. The operator’s marketing has seen just as dramatic a makeover as its product portfolio. Since Tobin joined, she has grown the digital marketing division from a team of one to a team of five, including an experienced travel writer as content editor and several new digital recruits. Olympic has worked with tech provider Hangout on Holiday to build its own app, which was trialled successfully in Zante last summer and is set to be rolled out across Cyprus and Greece from April. This will spell the end of traditional welcome meetings, which Tobin says clients were increasingly loathe to attend. There was a new look for Olympic’s turn-of-year advertising campaign this year, with a new strapline – “welcome to our islands” – and cheeky phrasing to encourage people to look again at a destination they may not have visited for some years. It tried cinema advertising for the first time over Christmas, with a new film advert featuring TV presenter Katy Hill aired during screenings of Mary Poppins Returns around the UK. Head office itself has also had a facelift, with a new-look staff area that can now host small events, and open-plan offices for the management team. On the ground floor, I meet the sales teams, primed for the January peaks. A switch from filling charters to selling tailor-made has enabled sales consultants to focus on service, Tobin informs me, and res staff will now go on two or three fam trips per year instead of one. By doing more to reward loyal customers, repeat business levels have soared from 20% to 45% in two years. On another floor, I meet recent additions to the senior team, including Michael Vinales, former boss of Avro, who became director of sales and revenue following the retirement of long-serving Photis Lambrianides. Ricky Wason, formerly of dnata, is now head of product and purchasing. Tobin last year set up a board of directors and recruited Krishna Seyani from the John Lewis group to form a separate HR department. And, due to various retirements and new appointments, Olympic’s senior team is now almost evenly gender-balanced, where it was previously entirely male. It’s an ethos that saw Tobin recognised in the everywoman in Travel Awards in November – winning Leader of Change. “I was a bit embarrassed when I learned my team had put me forward for it, but of course it was a huge honour to win,” she says. The “new Olympic” also heralds a fresh focus on agent partners, according to Tobin. 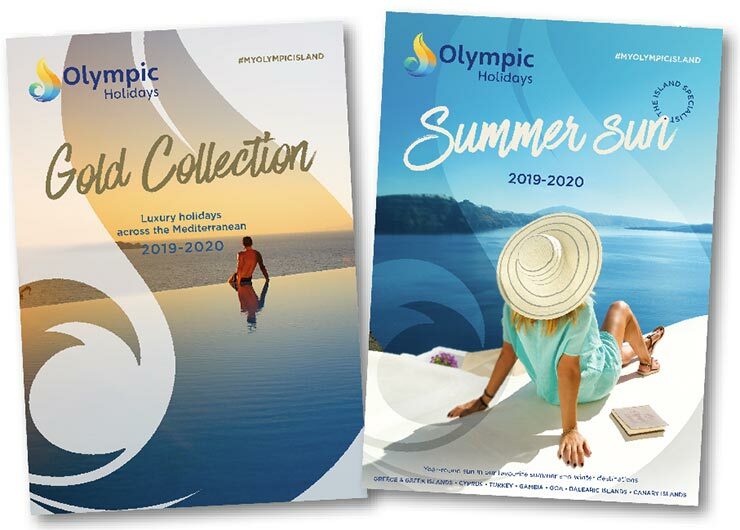 Trade sales account for about 50% of Olympic’s business, and its latest brochures have been designed with agents in mind. Agent feedback and guidance was also key in Olympic’s switch away from Viewdata to a bespoke booking platform last year, featuring a helpful calendar-view tool. Agents will have seen Olympic attending far more events and conferences in 2018 than in previous years, and Tobin promises to offer more fam places in future, with a dedicated island-hopping trip in the pipeline. In fact, the restyled Olympic Holidays is a more attractive partner for agents than ever before, she suggests, since 40% of its product is exclusive to Olympic, and because weddings, island-hopping and new, smaller islands are all products customers might struggle to book – and price-match – elsewhere. The past 24 months have seen monumental change for the operator, and Tobin says the team’s hard work is already paying off on yield and costs. But it will be 2020 before it will grow beyond its current Atol for 220,000 passengers, she predicts. With a sleek new business model, revamped product collection and sharpened technology, there is much to recommend the newly styled Olympic to agents and customers alike. It seems this longstanding, operator is to stay on trend for many seasons to come.